Do you wish to build a search engine friendly website of your dreams, but do not know how to go about? Then give us an opportunity to create one for you because we are passionate about technology and creativity. 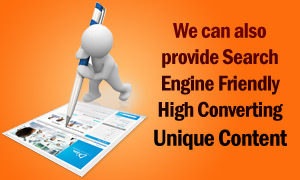 When combined, we give you a competitive edge in the web world with influential marketing tools, and more. In short, we build digital offices at an affordable price. Digital offices at your doorstep! With the popularity of internet and globalization, a website has become an important tool to clinch business deals. Fierce competition in the market is making every business aspire for that every inch of consumer share. Building a website with a combination of perfect marketing strategies and search engine optimization can help an individual or a company to achieve their objective. In short, with the help of your digital office, you can create a global market for your products/ brands at zero cost. The best way to get faster load time, unique SEO friendly content, social media marketing services, traffic on your page and professional attitude, seek the help of https://www.ampleom.com. We create lucrative and search engine friendly websites that have vibrant designs, simple navigation tools and rich content that meet the industry norms. From a simple flyer to sophisticated graphic designs to fun-filled photo editing, we can deliver it all. The designers here are trained to turn your vision into reality online. They bring together all those components like the time taken to load a browser, appearance of the website, user friendly, functionality etc. that are required for a website to function properly. We have the knowledge and experience to create a design that will go well with your brand and fit in your budget. Our clients can also buy domain, hosting and all kind of graphic designs like Logo, banner, Brochure, flyer directly from us. To check our portfolio page for our previous designs, click here & check our design portfolio https://www.ampleom.com/portfolio/. In order to know all this and to boost traffic on your page, we can also adopt Social Media Marketing (SMM) strategies on demand like creating social network button, integrating email pop up, email marketing etc. as per clients requirement. The visitors on our site can contact us by sending their specific requirements and we will send you a quotation of price with details for FREE. We are equipped in web designing but if you want other services like SEO friendly content and social media marketing services for your website, then we can help you with that for a certain fee too.